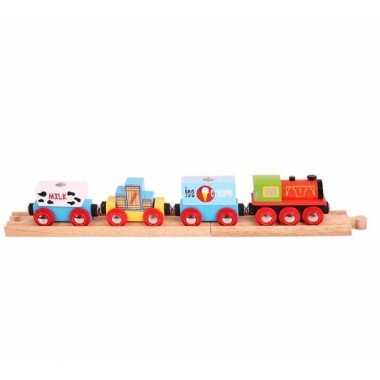 This colourful wooden Goods Train from our BigJigs Rail collection will make a great addition to any train set and is compatible with all wooden railways sets. 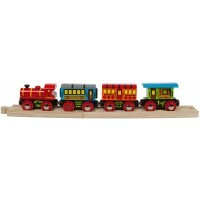 The Goods Train comprises of a smart colourful engine and 3 freight cars carrying children's treats that connect to each other with magnets. All of the freight treats being carried on the freight cars also have a magnet on the top. 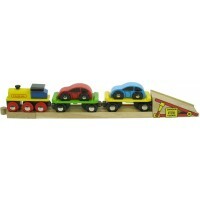 This allows them to be unloaded by a magnetic crane such as our BigJigs Rail Big Yellow Crane. Supplied complete with two pieces of wooden Bigjigs Rail track. Looks like a great train set. Beautiful train. 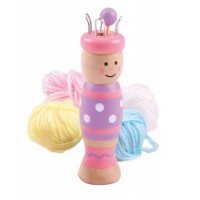 My 2 year old grandson loves it.